Miriam College Grade School (MCGS) successfully held its first Science, Technology, Engineering, and Mathematics Week (STEM Week) on February 18-22, 2013, with the theme “Full-STEM Ahead!”. The STEM Week aims to expose and encourage students to take up STEM-related courses. As a former faculty member of MCGS (Grade 5, Science), I’m honored to be given the privilege to contribute to this annual event by displaying some of my astrophotos in an astronomy exhibit. Special thanks to Ms. Reyett Paunan, the Subject Area Supervisor (Science), and Ms. Jennifer Garcia, Grade 4 Level Coordinator, of Miriam College Grade School (MCGS). 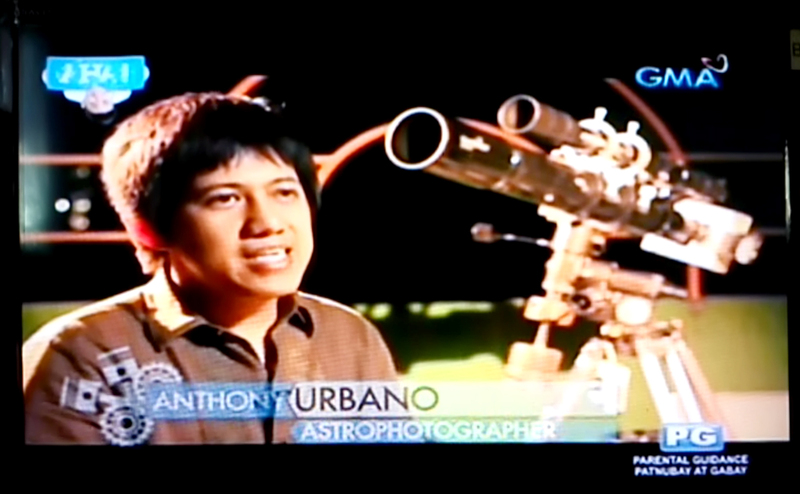 Great news for fellow Philippine-based observers and amateur astronomers! The Asteroid 2012 DA14, the biggest space object to get so close to the Earth since regular sky surveys began in 1990’s, will be visible from our location on its closest approach to Earth on February 16, 2013, around 3 am local time. Only a pair of binoculars is needed to see the asteroid. During its closest approach, it will peak at magnitude 7.5 (just beyond naked-eye visibility), moving at a rate of 0.8 degrees for every 45 seconds; in context, our moon’s angular diameter is just 0.5 degrees! If weather permits, I will attempt to photograph 2012 DA14 through my telescope. Follow this blog to keep you posted, or leave a note to join me in my observation. Clear skies!